I knew I was going to like Don Henley’s recently released country album, Cass County, the moment I heard Miranda Lambert’s graceful vocal and the sweet harmonica on the opening song, Tift Merritt’s “Bramble Rose.” The melodic harmonica evoked “Sweet Virginia” from the Rolling Stones’s Exile on Main St., and Lambert reminded me of how country can appeal through and understated melody without the bombast. And then, to my surprise, Mick Jagger sang a verse, nailing his contribution with a sensitivity lacking in some of his faux country fumblings with the Rolling Stones. As it turns out, Jagger had already gently worked his way into the song with his harmonica playing. No wonder “Sweet Virginia” came to mind. 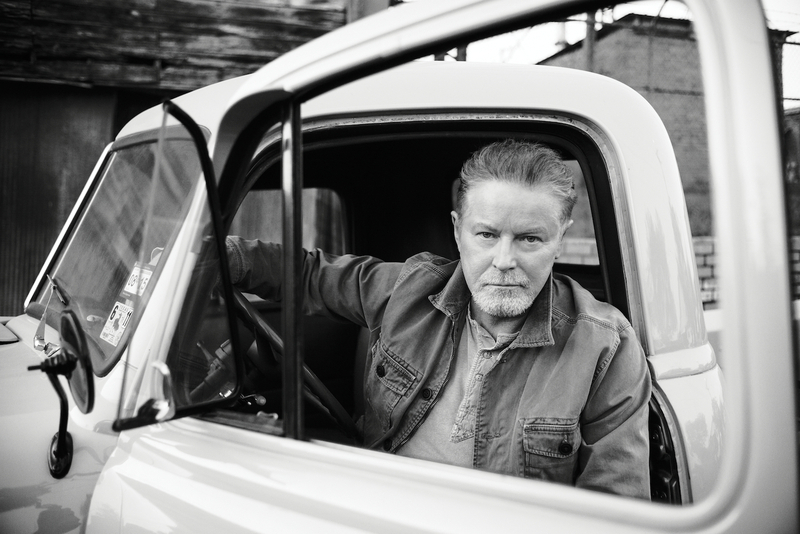 Cass County is Don Henley’s album, with each artist contributing to his vision, which is why the duets feel graceful and natural, not forced (the bane of hip-hop collaborations). Through his production with Stan Lynch, the multiple voices mesh with the layered instrumentals and Henley’s own distinctive vocal style, which still sounds honey-smooth yet with a whiskey edge (a voice that helped define the country rock sound in the 1970s). Henley has a reputation for being an exacting artist with a strong sense of purpose, attributes which serve him well on Cass County. [A] lot of the old folks — the ones that were referred to as “the greatest generation,” the ones who came home from World War II and really made that town tick — are all gone now. Growing older also means gaining perspective on how your past has influenced you. “I’ve come to learn in my age that perspective is probably the most important — besides your health, perspective is the most important thing you can have, and it’s hard to get, and it’s even harder to keep,” he says to Ultimate Classic Rock. The landscape and people of Cass County, Texas, have had a profound influence on Henley. Cass County is a muse. Exploring the lakes and creeks of the area created images that stuck with him. The simple honesty and caring of the people loom large in his memories. He speaks of Cass County, where he maintains a 200-acre farm, as a creative refuge. This is not an album for bearded millennial hipsters from Brooklyn. This is an album for me. This entry was posted in Music and tagged "Bramble Rose", "The Cost of Living", "When I Stop Dreaming", Cass County, David Deal, Dolly Parton, Don Henley, Eagles, Merle Haggard, Mick Jagger, Miranda Lambert, Stan Lynch, Superhype, Vince Gill. Bookmark the permalink.